The Google Home Mini is probably the best value smart speaker you can buy. Not only do you get a fully-fledged Assistant experience, but you get okay sound out of it, too. Last Christmas, they went on sale for $30 each, which basically made them an impulse buy. Costco has had a 3-pack for a while now, which dipped down to $100 not too long ago (which was already a great deal). 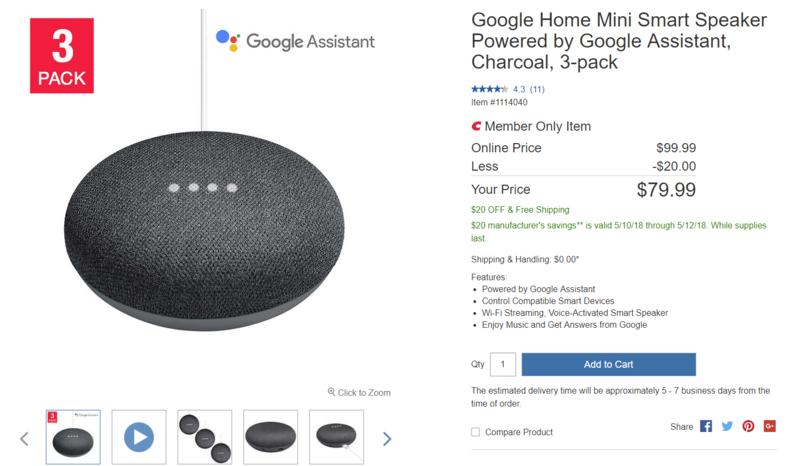 Now, you can pick up this bundle for a measly $80, almost half of what you would spend to buy three Home Minis separately at their $49 MSRP.